← TFS Fugitive – Released! Hi, very nice job on the wonderful series. Any update on the book 5 release date? Thank you very much, William! TFS Guardian will be released somewhere around the first of April. I may eventually write more books in the TFC “universe,” but I’m planning to do something different after Book 5. Updates on progress can be found at: http://authortoriharris.com/updates/. I just bought your first audiobook in this series a few days ago and I’m already on the fourth book. I’ve really enjoyed this series and can’t wait for more!! Thanks, Jared. I’m very happy to hear that you have enjoyed the audiobooks. Strangely enough, I’ve never listened to any of my books on audio. 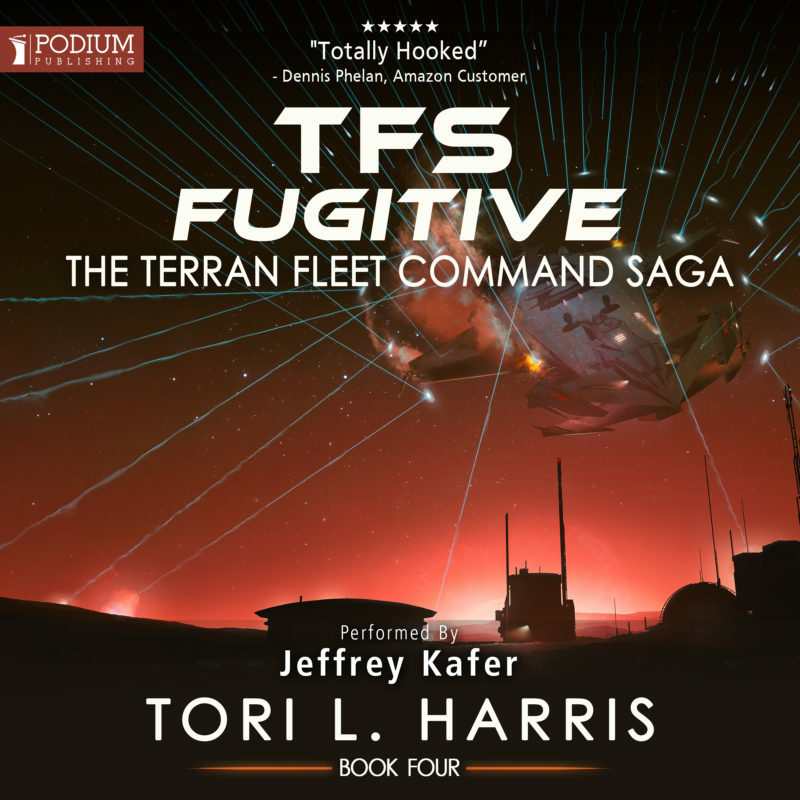 Podium Publishing sends me the files before they go live on Audible, but I generally only listen to a few minutes of each one. It’s not that I don’t like them, but, as you can imagine, I have a specific idea in mind for how all of the characters “sound.” So when I hear someone else reading, it just seems off to me. I do think Mr. Kafer has done a good job, though, and I’m sure he’ll be back for TFS Guardian. Ya I prefer to read books rather then listen to them. But I spend a lot of time working and so audiobooks are perfect. I agree that Mr. Kafer has done an excellent job. And I’m glad he’ll be back for Book five. This is an awesome series. Love the theme and character development. I am looking forward to the next book. The concept of the C jump changes the paradigm of fictional space warfare. Instead of boring, drawn-out space battles, action-packed sequences unfold. Well done Tori, keep up the great work. Thank you. Thank you, Paul. Book 5 has a lot going on with the arrival of the “Greys,” so it’s turning out to be more challenging to write than the past couple have been. There’s a fair amount of explaining that you pretty much have to do when you start talking about their species, so I’ve tried to keep it entertaining and fun. I hope you enjoy it! Love this series. Please get #5 out ASAP. Thanks very much, Howard. It’s always great to hear from readers who are enjoying the story. Book 5, TFS Guardian, will probably be the last in the series (although I may eventually write more stories in the same “universe”). I’m hoping to have it finished and available on Amazon by sometime during Q1 of 2018. I hope you enjoy it! very much have enjoyed the TFS series so far. looking forward to #5! Thanks very much, Pete. It’s coming along pretty well so far, and I hope to have it ready to release early next year.